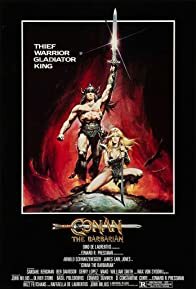 A young boy, Conan, becomes a slave after his parents are killed and tribe destroyed by a savage warlord and sorcerer, Thulsa Doom. When he grows up he becomes a fearless, invincible fighter. Set free, he plots revenge against Thulsa Doom.